Based on the 1903 edition, this attractive, newly typeset reprint of the classic work in Latin Grammar has some updating of the material on meter. The key system widely used to reference grammar in numerous Latin texts has been retained. Available also in hardcover. 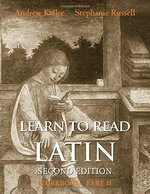 Third edition of this popular self-study guide for students of Latin. Each chapter covers a grammar point: i.e., a part of speech (noun, verb, pronoun, adjective), a word's function in a sentence (subject, direct object, indirect object), a grammatical term (tense, conjugation, declension, gender). Each chapter is divided into two sections. 1. In English: grammar is explained as it relates to English, anticipating concepts necessary for Latin. 2. In Latin: grammar is explained as it relates to Latin, with examples and explanations of the rules applied. Points out similarities, differences, and alerts students to pitfalls. Part of the O&H Study Guide series for students of foreign languages. Experience has shown that students using the O&H Latin Study Guide improve their performance in Latin grammar thanks to a better understanding of English grammar. This book is designed to help beginning and intermediate students master the vocabulary necessary to read real Latin with fluency and comprehension. It also serves as a resource for instructors and tutors. The text presents 1,425 words that allow a student to comprehend about 95 percent of all the vocabulary they will ever see in an actual Latin text. The terms found in the present book have been culled from statistical analyses of the works of more than two hundred authors in order to identify the core vocabulary. Were students to start out by learning the 25 most common words on this list, an astonishing 29 percent of all the vocabulary ever needed would be at their command. If a student masters the 300 most frequent words in this list, well over half of all the vocabulary necessary for fluent reading will be theirs. The goal of the book is to provide the student with the most efficient way to learn vocabulary. Chapters 1 and 2, in particular, are designed for drill, review, and study. The first chapter draws together all words that share the same grammatical classification. For example, all third declension neuter nouns are brought together in one place, with their definitions. By listing the vocabulary in grammatical groups, all the words that share a set of endings are assembled for the student: vocabulary and endings thus reinforce each other. Furthermore, each list of terms is broken down into groups of five words for ease in drawing up vocabulary lists to work with. Within the grammatical lists, each part of speech is preceded by an account of how the terms within are distributed. A student thus quickly learns that while there are 413 verbs that need to be mastered, well over one-third of these (157) are found in the third conjugation, while only about one per-cent (21) will be found in the fourth conjugation. With such information, independent students or instructors can prioritize their study and assignments more appropriately. In the second chapter, large parts of the vocabulary, with their attendant definitions, are regrouped by topics. A student who wishes, therefore, to focus on nature, human emotions, or military issues, will find such vocabulary conveniently grouped together. Chapter three lists the vocabulary terms from the most frequently occurring words to the least frequent. Students or instructors who wish to lean more heavily on the most (or least!) frequently occurring terms within their drills and studies can thus consult this frequency list. After the frequency list, the fourth chapter presents an alphabetical index of the terms. Two final chapters close the text. The first is a list of endings and paradigms for nouns, adjectives and verbs. Complete paradigms and endings are given for review. The final chapter provides the student with an additional one hundred words that are uniquely common in the Latin of the Middle Ages. These one hundred words, if added to the mix, would give the student a Mediaeval vocabulary that would match the efficiency of the Classical vocabulary that is the main focus of the book. For the effort of learning an additional one hundred words, another 1,000 years of Latin texts open up before the student. As a whole, then, this book offers the vocabulary that forms the core of one thousand seven hundred years of Latin literature. If the goal is to learn to read Latin with joy and ease, then the vocabulary terms in this book are one of the major keys to success. By learning these terms, a student's vocabulary should be ready to tackle the Latin of any era from the Classical period to the Renaissance. A convenient reference for writers, students, and business people--anyone who needs the right word at the right time. Poetry, prose, and a nine-letter pizza toping . . . When you're looking for a word, pull it out of one of our Pockets. This German pocket dictionary includes vocabulary especially geared toward the needs of business users, tourists and students. Written by native speakers, it incorporates between 45,000 and 55,000 references. Peter Abelard's Letter to a Friend, frequently known as The Story of My Calamities, recounts the meteoric and disastrous career of one of the driving forces of the twelfth-century renaissance. The son of a minor Breton noble family, a public intellectual who turned the academic establishment on its head, lover of Heloise, and sometimes his own worst enemy, Abelard produced in elegant prose one of the signal works of medieval autobiography. 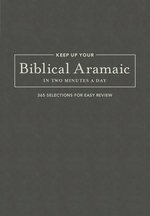 This new edition presents the Latin text as it appears in the earliest manuscript--until recently misdated by a hundred years--studded with a commentary that explicates the circumstances of its composition, context, and language. One of the classic works of lexicography, this is a revised edition of E.A. Andrew's translation of Freund's great Latin-German dictionary of the nineteenth century. Latin for the Illiterati is everyperson's reference to common Latin words and phrases. With over 6,000 entries--including 300 abbreviations--this volume will accompany every reader, student and scholar through their lifelong reading journey. 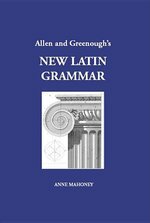 Since 1867, students of Latin and their teachers have turned to this famous guide for instruction on grammar and usage. 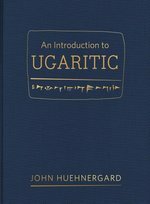 The work of a distinguished professor who taught classics for six decades, it is celebrated for its lucid and comprehensive treatment.The first third of the text focuses on etymology, exploring inflections of the substantive and adjective; adverbs, numerals, and pronouns; inflection of the verb; and the formation of words. Subsequent chapters advance to syntax, examining simple and compound sentences; the arrangement of words and clauses; figures of syntax and rhetoric; and principal rules of syntax. The text concludes with an extended section on prosody that discusses and illustrates the conventions of Latin verse. Helpful indexes feature information on everyday Roman life, including explanations of the calendar, weights and measures, money, and names. No Latin reference collection is complete without this volume, which is equally useful for classroom and independent study. The Latin language is popularly imagined in a number of specific ways: as a masculine language, an imperial language, a classical language, a dead language. This book considers the sources of these metaphors and analyzes their effect on how Latin literature is read. By reading with and more commonly against these metaphors, the book offers a different view of Latin as a language and as a vehicle for cultural practice. The argument ranges over a variety of texts in Latin and texts about Latin from antiquity to the twentieth century. "Scientia est potentia" (knowledge is power)! "More Latin for the Illiterati" demystifies the terminology of modern courtrooms and hospitals, untangles some of the most complex and unforgiving examples of Latin abbreviation, and allows readers to explore the classical roots of law, medicine and the ministry. 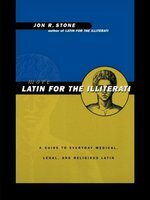 Practicing or aspiring doctors, lawyers or ministers, language-lovers, students of literature--and anybody who loved " Latin for the Illiterati," will want " More..." This collection also makes an ideal gift. "If you're a student trying to improve your vocabulary, this is a great book... For those who have forgotten their three years of parochial-school Latin, this is really great book." "--Publisher's Weekly"
"A ready-reference dream come true...""--American Libraries"
Also of interest: "Latin for the Illiterati: Exorcizing the" "Ghosts of a Dead"
The Novum Testamentum Latine is a scholarly edition of the text of the Nova Vulgata. This text includes a critical apparatus, which enables a detailed study of the history of the Latin text and cites readings from the following: Gutenberg Bible (1452/54), Compultensian Polyglot (1514), Erasmus 4th edition (1527), Wittenberg Vulgate edition (1529), Robert Stephanus Vulgate edition (1540), Leuven Vulgate edition (1547), Christopher Plantinus Vulgate edition (1583), Sixtine Vulgate edition (1590), Clementine Vulgate edition (1592), Wordsworth-White Vulgate edition (1889-1954), and the Stuttgart Vulgate edition (1994). 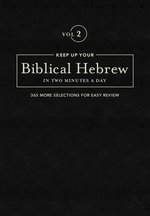 Originally published in 1927, this book presents an account regarding the Latin texts of the Heptateuch. It is divided into four main chapters: 'The vocabulary of the old Latin Heptateuch'; 'The relations of the MSS to the quotations in the Fathers'; 'The Greek text underlying the old Latin version'; and 'The style of the MSS and their place in the old Latin version'. 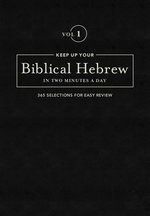 This book will be of value to anyone with an interest in biblical studies and the Heptateuch. Reading Medieval Latin is an anthology of Medieval Latin texts, arranged chronologically and thematically with introductions, commentaries and a vocabulary of nonclassical words and meanings. It is a language textbook, designed to introduce students with one year or more of Latin to the Latin writing and culture of the period A.D. 550-1200. It is the only systematic introduction for students to all types of Medieval Latin writing. The Semitic languages are a family of languages spoken by more that 370 million people across much of the Middle East and North and East Africa. This is the first general survey of those languages, including the Arab and Aramaic dialects and various languages of Ethiopia. 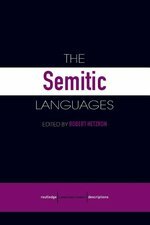 Containing twenty-two chapters that present a comprehensive survey of this language family from its origins in antiquity to the present day, The Semitic Languages is an essential source of reference for the specialist and the lay reader.